Spring Clean-up: Spring clean-ups include a lawn cutting, as well as removal of leaves, sticks, and debris from flower beds and lawn. All materials will be disposed of off-site. The cleanup also includes cutting back any perennials that were left standing during the winter season within 2-3 inches of the crown. Any and all enclosed areas will not be entered for clean-up purposes. 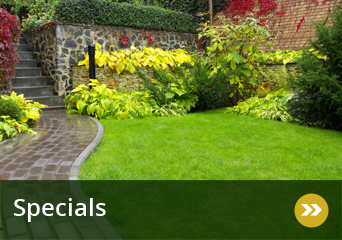 Weeding and edging of mulch beds are not included in the base price for this service. Spring clean-ups will be done during the months of April and May, weather permitting. Plan 2: Fall Clean-up (2) two times during the time period when leafs are currently falling from the trees at clients property. 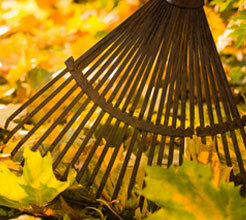 Fall clean-ups will be done during the months of October and November, weather permitting. Plan 2: Fall Shrub Trimming performed during the month of September, weather permitting. Plan 2: Weeding once per month, 6 times per season. 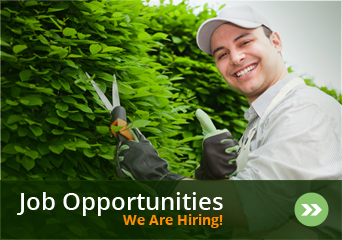 The weeding service is available during the months of May through October, weather permitting. 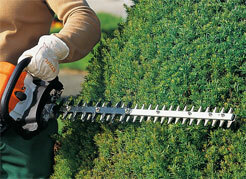 Bed Edging: Bed edging is offered to maintain or create a clean, tailored look to flower beds. All common beds surrounding buildings, landscape beds and trees etc., which contain mulch at this time, will be shoveled or machine edged to a depth of 3″inches. Mulch Installation: Bark or mulch is installed in landscape beds and bed preparation is included in the price and is completed prior to installation. We offer hardwood, cedar, redwood, brownwood, and blackwood.